How do I sign up for my free one-on-one appointments? If you register online, a link to your Appointment Request form is included in the acknowledgment letter you will receive when you hit “Submit.” If you register via the USPS and have provided an email address, your registration will be acknowledged via an email that will include a link to the Appointment Request form that needs to be submitted online to Barb Haley, our Appointments Coordinator. To receive early registration preference your request must be submitted online by July 1. All appointment requests need to be submitted online by July 15. Please Note: The Appointment Request form will not be available until the faculty bios are online along with Barb Haley’s helpful charts of editorial needs, areas of expertise, and genres agents are interested in representing. Do paid critiques affect the number of appointments I receive? No! You will still receive the number of appointments you are entitled to - four if you register for Friday and Saturday, two if you register for just one day. In addition, the first 50 to register for Friday and Saturday will receive one more appontment! Please note: Thursday is a pre-conference day with learning labs and workshops offered in the afternoon. No appointments are scheduled on Thursday, and Thursday does not count as a day that qualifies you for appointments. Will I find out before the conference who I am scheduled to meet with? The number of appointment requests that Barb receives and last-minute changes makes it impossible to provide this info pre-conference. You need to be prepared to meet with any of the faculty you listed on your appointment request form. When you arrive at the conference, you will receive a form that tells you who you are scheduled to meet with and when. Can't appointments be scheduled other than during workshop times? I'm sorry, but there is no time slot we can devote just to appointments and still offer the number of workshops that we do. If I were to eliminate a workshop time slot, I'd need to also eliminate faculty since most want to teach and it's hard to find enough workshops to go around. Remember, the conference is recorded. Why can't you schedule longer breaks between classes so we can spend time with the Lord outdoors? I could not have as many on faculty if we took longer breaks. Again, they want to teach, and there would not be enough workshops to go around. But I encourage conferees to take needed breaks and, of course, to give priority to getting alone with the Lord. The conference is recorded. Can I nominate someone for the Writer of the Year Award? Do you know someone who exemplifies what it means to commit his or her writing to the Lord, to strive for excellence, to work hard, and to persevere? Nominations for our Writer of the Year Award should be sent to GPCWC, 951 Anders Road, Lansdale, PA 19446 postmarked no later than August 1.
Who may enter the writing contest? 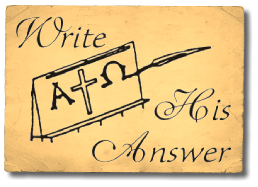 More than a contest, this is an opportunity to prayerfully consider our conference theme, "Write His Answer." In 500-800 words or a 12-30 line poem share how God is speaking to you. Poetry and prose by published and not-yet-published writers will be judged separately. Only registered conferees may enter. There is a $10 entry fee (for each submission) that may be included when you register or sent separately. We tell the judges to consider the theme of the conference - Write His Answer - when they are reading the entries. So they tend to set aside those that say nothing about the writing life and/or how the author is writing His answer. In submitting your entry you are offering the conference one-time rights to publish your entry in a future devotional book (no date yet determined). Contributors will receive one free copy of the book when it is published and a discount on purchasing additional copies. Profits will go to the scholarship fund. You may submit your manuscript elsewhere (before or after the conference) as long as you do not sell first or all rights. 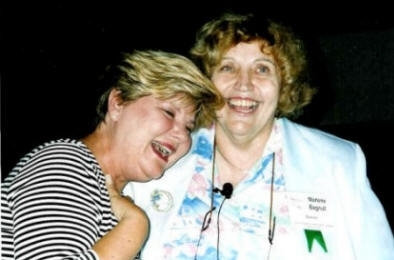 Please mail your entries to Marlene at 951 Anders Road, Lansdale, PA 19446. Put “GPCWC Contest” in the corner of the envelope. Do not include your name and address on your entry, but do note on your entry whether you are published or not-yet-published. The first place winner in each of the four categories will receive 50% off his/her registration fee to our 2020 conference. Deadline: Please postmark by August 1. If you miss that date, you can email to mbagnull@aol.com up to August 7. Can I bring books I've written to sell on the conference book table? Yes! A 20% consignment fee will be charged on books sold. The price must be clearly marked on each book and the consignment form completed. To save time when you arrive, you can download the consignment form now and bring it with you. Add to your professional library from the broad selection of books on all aspects of writing and publishing. We'll also have books authored by our faculty that you may want to get autographed to bring home to loved ones. Think birthdays and Christmas! We accept VISA, Mastercard, Discover , and American Express. And remember, you are welcome to participate in our author interviews and book signing on Friday evening. Can my spouse, who is not a writer, come with me? Spouses who are not writers are welcome to attend all the keynotes free-of-charge and to join you for meals in the cafeteria if you have pre-purchased a Thursday and/or Friday box lunch and Friday evening Italian Buffet for them prior to the conference. They can also, of course, stay with you in the Holiday Inn at no additional charge for your room. Can you accommodate wheelchairs or other special needs? All the classrooms, cafeteria, and chapel are handicapped-accessible. Everything is air-conditioned. The walk between Clemens Hall (chapel, cafeteria, appointments, and book tables) and Dielman where the classes are held is short.